We are a leading supplier and installer of intruder alarms and security alarms for both residential and commercial properties in Tuebrook. Alarms Liverpool have many years of experience in supplying everything from basic burglar alarms to more sophisticated security systems. Whatever your budget, and no matter what kind of property it is that you need to monitor and secure, we are confident that we will have something that can meet your needs. We also offer service and maintenance packages for most popular security systems and CCTV packages. Our most basic “bells only” alarms will sound an alert if someone attempts to break into your home, but do not do anything else. We have more sophisticated models which use an automated dialler to contact a nominated party (usually the property owner, but it could be a friend, neighbour or security service if required) if triggered. These systems are becoming increasingly affordable, and popular. Alarms Liverpool have both wireless alarms and wired alarms. The wireless alarms are quicker to install, and many people prefer them because they look nicer as well. With wired alarms, it is best to attempt to hide the wires, and this can make installation take slightly longer. 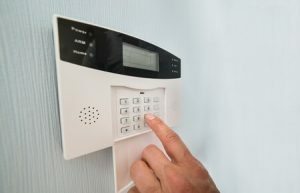 In addition to burglar alarms, Alarms Liverpool also have a vast range of quality products including motion sensors, CCTV cameras, and other security equipment, which can go together to make a fully featured security package. Our basic burglar alarms do come with some sensors, and a control panel to allow you to arm and disarm the alarm as required. Some of the higher end models come with a monitoring system, which means that you can keep an eye on the alarm while you are on holiday or away from the office. 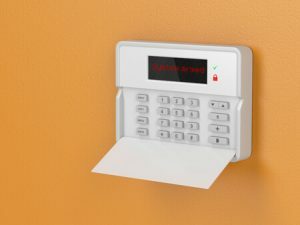 There are subscription services available that will monitor for you, and then contact you or a nominated keyholder if the alarm systems is triggered. Some services will contact the police if they are unable to verify whether the alarm going off was a result of a power cut or an accident which the property owner is aware of and has successfully resolved. If you are not sure what level of service is right for you or your business, or what sort of alarm to buy, please don’t hesitate to get in touch with us. We would be happy to talk to you and help you to find the perfect security package so that you have peace of mind at all times. © Alarms Liverpool - Optimised by SEO Company in Liverpool, Media Kynect.